Forget rocking chairs and Cinnabon. 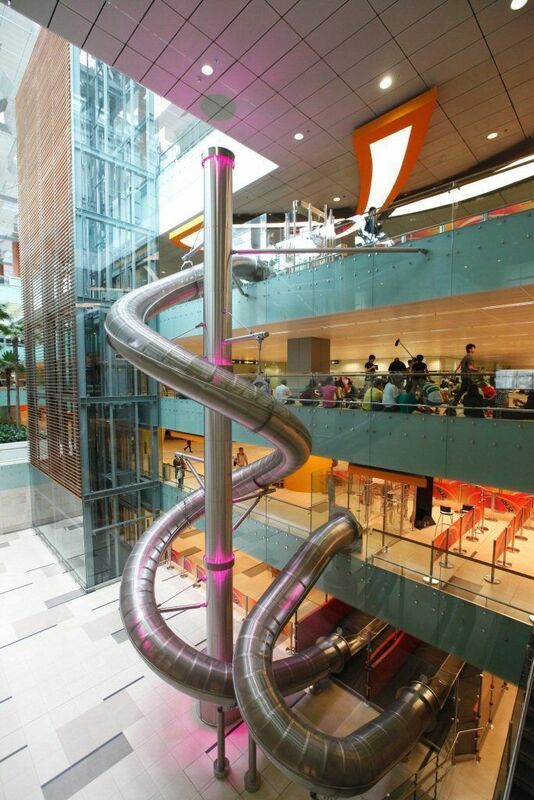 Singapore’s Changi International Airport knows how travelers really want to spend their layover -– shooting down a jumbo twister slide of course! The installation of Slide@T3 in the airport’s Arrival Hall in Terminal 3 offers Changi visitors the chance to unwind before, between and after flights by sliding down four stories at speeds of up to 19 feet per second. In an effort to promote duty free shopping, Changi is giving visitors free slide tokens for every $22 USD spent at in-airport stores. For the faint of heart and frugal thrill seekers, Changi has installed a free one-and-a-half story tall slide just below Slide@T3 in the terminal’s basement level. To read more about Singapore’s Changi International Airport as well as what other airports around the world are doing to entertain families during long layovers, check out FTF’s Family-Friendly Airports roundup.